As the digital era becomes increasingly pervasive, the intertwining forces of computers and espionage are reshaping the entire world; what was once the preserve of a few intelligence agencies now affects us all. Corera's compelling narrative takes us from the Second World War through the Cold War and the birth of the Internet to the present era of hackers and surveillance. The book is rich with historical detail and characters as well as astonishing revelations about espionage carried out in recent times by the United Kingdom, the United States, and China. One minute Jake O'Connell is on top of the world, with a beautiful family and bright future as a stock broker in New York; the next it's all ripped away when he's embroiled in a fraud investigation, his childhood friend is murdered, and he finds himself on the run. 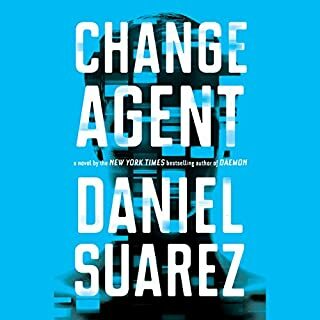 Dodging the FBI and targeted by the Mob, Jake is thrown into a Wall Street underworld of crypto currencies and autonomous corporations, where he discovers a dark secret setting the world on a path to destruction. The Extraordinary Story of a Hacker Called "Alien"
When she arrived at MIT in the 1990s, Alien wanted to study aerospace engineering, but she was soon drawn to the school’s venerable tradition of high-risk physical trespassing: the original “hacking”. Within a year, one of her hallmates was dead, two others were on trial, and two had been institutionalized. Alien’s adventures were only just beginning. Coming of age story about an attractive hacker. Michael Lewis’ Flash Boys revealed how high-frequency trading has created a ruthless breed of traders capable of winning whichever way the market turns. In Rogue Code, Mark Russinovich takes it one step further to show how their grip on high finance makes the stock market vulnerable to hackers who could bring about worldwide financial collapse. Cyber security expert Jeff Aiken knows that no computer system is completely secure. When he’s called to investigate a possible breach at the New York Stock Exchange, he discovers not only that their system has been infiltrated but that someone on the inside knows. Yet for some reason, they have allowed the hackers to steal millions of dollars from accounts without trying to stop the theft. When Jeff uncovers the crime, the NYSE suddenly turns on him. Accused of grand larceny, he must find and expose the criminals behind the theft, not just to prove his innocence but to stop a multibillion-dollar heist that could upend the U.S. economy. Unwilling to heed Jeff’s warnings, the NYSE plans to continue with a major IPO using a new, untested system, one that might be susceptible both to hackers and to ruthless high-frequency traders willing to take any risk to turn a profit. Now Jeff Aiken must unearth the truth on his own, following the thread to the back alleys of Rio de Janeiro to take on one of the world’s most ruthless cartels. 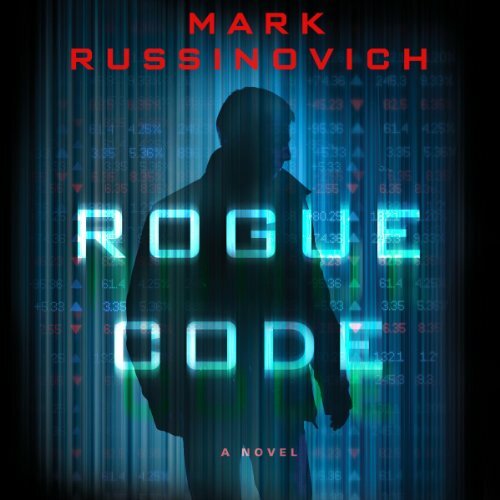 Praised for his combination of real-world technology and quick-paced action, with Rogue Code Mark Russinovich delivers an intense thriller about a cyber threat that seems all too possible - and the Wall Street traders who might allow it to happen. Includes a foreword by Haim Bodek, author of The Problem of HFT: Collected Writings on High Frequency Trading & Stock Market Structure Reform. Never in doubt about the plot. A decent effort at explaining high frequency trading and the inside workings of an exchange. Narrator was difficult to listen to. See, Mark Russinovich is the ubber-geek who can speak colloquial English. You know like meeting a space alien who talks like he came from Philly. He can explain so that I can suddenly mutter… "Good God! We're all in a LOT of trouble." Here he digs into the space where computer security meets VERY VERY VERY Big Money. And he explains exactly what opportunity (or threat) lurks between the left scissor edge of computer engineering and the right edge of international financial transaction. First I'm warning you NOT TO LISTEN TO THIS BOOK… first. 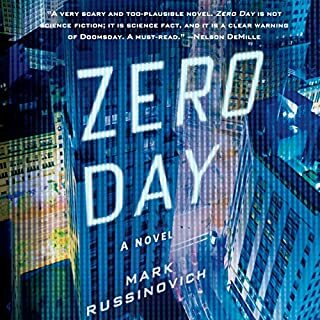 Go get Russinovich's "Zero Day" first. Because you probably will after you hear this novel. And since it's a continuing ensemble cast, hey… why not enjoy all of the feelings and back-stories as they grow through Mark's second novel, "Trojan Horse" (and his best), and then come here to Rogue Code? Johnny Heller does a terrific job. I was disappointed though with the Jeff Aiken (hero) - Darlyl Haugen (demoted heroine) relationship's direction. They were so much more interesting twin parts of whole lead character in Zero Day and Trojan Horse. The altered path seemed like some sort of personality-ectomy. Hope the partnership gets renewed. Oh yeah, that teaser up above… The Steven-King-terror-inducing-talent of Mark Russinovich is that what his stories tell-about will escape from his cloud and will probably happen quite soon, maybe tomorrow. YIPES! 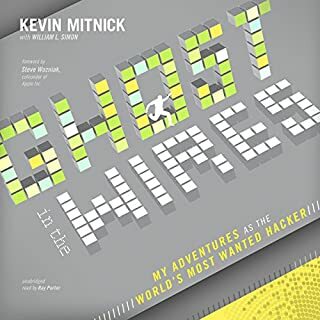 So at this point in the series (book 3), I really thought my review for this one was going to mirror my review for Mark Russinovich's first two books in the Jeff Aiken series. And for some parts it will. Just to summarize my thoughts... The Jeff Aiken series suffers from two main flaws. First, it's a series written for and by computer geek(s). Much of the story is heavily based on computers and cyber security. Unfortunately when you think about it, and look (realistically) about how real cyber security works, it isn't all that exciting. There's no hollywood like stunt actions, explosions or great chase scenes. We'll most likely have a person or small group of people hunched over computer with coffee and perhaps a pastry laying around. So an easy way to by pass this interest crippling fact is to add in all of this artifically. The first book in my opinion fell for the trap of trying to go too big in scale, drama, and dooms day plot. It literally pits a cyber security researcher (note I don't mean a secret agent or someone trained in combat) go up against two Al Qaeda cyber hacking assassins, one brandishing a sword by the way if it couldn't get any more ridiculous. Character Development.. Now after 3 books of the same core characters, you'd have to be a really crappy writer if you couldn't get your audience to care at least a tiny tiny bit about them. But in Rogue Code there actually is a noticable increase in character depth here. I mean it's not going to have me trying to psycho analyze the character's driving motivations, but they actually seem far more real in this book. I suppose this could be because it takes places about a year after the 2nd book and both of the main characters who have been dating, have split, and are off making their own way. Now the flip side of this is how quickly the fall back to each other, and the inclusion of having Darryl be like the only person in the world who can assist in this.. (though granted the role she plays is pretty cool, and even a bit painful to read at the end). A more down to earth story is presented here, which...thank god is also (to me anyway..) more interesting. To some the plot of the hacking of the NYSE for a corruption ring in Brazil, may pale in comparison to the world shattering events of mid east terrorists on the verge of plotting a nuclear attack on the US, and the only man who can stop them is Super Aiken. To me, I mean come on, let's get a far more realistic story to make me feel like these characters are real. Not super hero archetypes. I think this more human plot (the back story of our antagonists is actually fleshed out modestly well too) gives life to Jeff, Darryl and Frank. Character decisions and the story flow itself just felt far more natural because it was a story I could (almost) expect to see on the news. The action, flow and direction of the story as a whole hasn't changed. And that is a very good thing. One of Mark Russinovich's talents is he can really write a good climax and set the pace so that it becomes a real page turner. For all three of his novels. Despite my dislike of the first two, even those, provided a really entertaining ride at the end. Characters met, faced off, and as unrealistic as the combat usually turns out, It's a fun ride. In Rogue Code, it seems Mark has also moved away from the preachy style of writing. In his first two novels, they come off as bordering on fables, with a morale that he's trying to ram down our throats. He makes it painfully aware to the reader than we, through the heavy use of the internet and lack of focus on security, leave ourselves open. The idea is one that is very real and the audience is made away of it in the first book. Book two comes along and basically re-hashes that same point. The book Trojan Horse could, in my opinion be a carbon copy of book 1, Zero Day. The same thesis is presented and even the character dynamics, and villains and support characters, are the same. It offers nothing new. This is why Rogue Code was such a breath of (Moderately) fresh air. 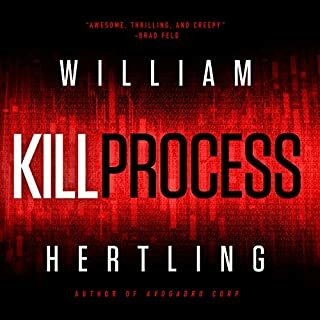 It lays off the gas of rubbing the terrorist plot in our faces and presents us with a book that is still thrilling, and deals with cyber crime, but not so determined to prove a point. I'll wrap this up by saying that reading Rogue Code is far far more enjoyable than the first two. I think the character interaction, and the way it's presented fueled this. It really feels like an organized, natural and fun cyber thriller. I wasn't rolling my eyes and cringing like I was for the first book. Jeff Aiken and Darryl actually had me smiling for a bit, and the plot of the story was very acceptable in terms of how much I could take in as believible. If Mark were to write a 4th in the series, I'd be hoping that he builds on this, and continues his development as an author. and a bit trite. And it is not the embedded quasi-technical information that makes it so -I am reasonably familiar with information system security. The plot just doesn't seem to have weight or momentum -the characters are not there. Couldn't finish it. The saving grace for me was learning High Frequency Trading. It is horrifying prevalent and - still accounts for 50% or more of all trades and seems to add fragility to the markets. I can't articulate why taking profits (only a billion or so a year) from algorithm driven almost instant trades seems so wrong to me so I guess I'll go off and read Michael Lewis. Johnny Heller seemed wrong for the part. Would you consider the audio edition of Rogue Code to be better than the print version? I haven't read the print version, but I must say that the Portuguese words pronunciation in this book could (should) have been a lot better. 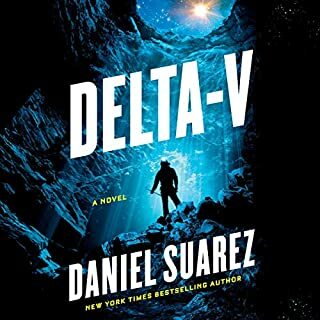 I am Brazilian and I had a really hard time understanding most of the portuguese from the audiobook. But on the other hand, this is the ONLY complain I have on this audiobook. Excellent book. I couldn't stop listening. Finished the book in only 2 sittings. Only complain is that the portuguese pronunciation is wrong almost every time (I am from Brazil, where part of the history happens). I really enjoyed this book. 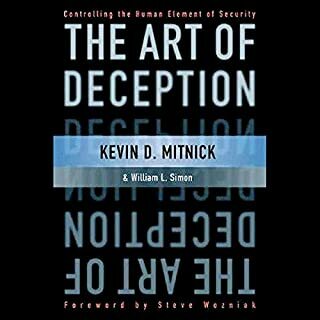 Being in the field of technology and knowing that the author knows what he is talking about made this book a lot of fun to listen to. by the last couple hours I didn't care any more. I'm a technophile but story was unimpressive and the reader was awful. dialog between male and female characters sounded identical and I just didn't care enough to finish. Fellow geeks will love this for the thrilling storyline and technical accuracy. Great easy listen! Just the right blend of technology and intrigue. This series is extremely entertaining and blends real world technology with drama and mystery. What did you like most about Rogue Code? The insights into a strange world the masses have no control over, we are at their mercy. Pretty monotonous voice actor, sentences paragraphs and chapters seemed to blend into one another, it sometimes took a while before I realised he had moved on to a different section he was so lacking in dynamics. Sounded bored, I started to wonder if this was just some guy from the back office reading as the actor contracted for this book was ill that day. Not really, steady and slow but worth the listen. Will avoid this reader and read the physical book if there is no other option. But look forward to Mark Russinovich's next novel! I wasn't sure if I would enjoy this book, but it very a great "read". It took a while to get used to the narrator though. Overall I would definitely recommend it. What made the experience of listening to Rogue Code the most enjoyable? Very gripping and fast storyline. Mark Russinovich's each book is better than the last one. His story is always very plausible and the tech angle is always very real. A very joyful read. What about Johnny Heller’s performance did you like?